Think about Goodwill. What comes to mind? Stores where you can find great bargains? Donation centres where you can drop off items you no longer need? Now look just below the surface. 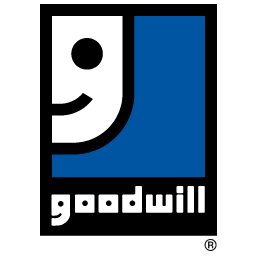 While stores and donations are truly part of Goodwill Industries, there is so much more going on. Goodwill Industries - Essex Kent Lambton is all about people. We're committed to making a real difference in people's lives, their families' lives and the communities they live in. We believe in the power of dignity that is earned with a pay cheque, and our employment programs and services help people with employment barriers gain confidence, skills and independence. How do we do it? By operating stores that provide jobs and training within the retail environment; by channeling eighty-five percent of our revenues into job creation and placement programs; and by ensuring we operate ethically and responsibly. And it all starts when someone like you drives up to a donation centre. We invite you now to learn more about Goodwill Industries - Essex Kent Lambton, and find out how we can all help change lives, one person at a time.